Current research - jechows Webseite! I am interested in light matter interaction in the context of biophotonics. To enhance my multidisciplinarity I now work at the IGB in Berlin to study the influence of very low light levels on biological systems. The study will be conducted at the LakeLab (picture on the left) on the beautiful Lake Stechlin in the North of Brandenburg. 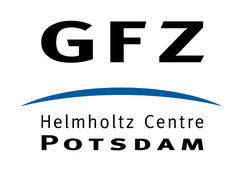 In this context I also work as a guest scientist at the German Centre for Geosciences (GFZ) in Potsdam. You can also check out my department websites by clicking the logos below to find out more about my institutes. 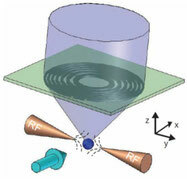 Higher order absorption processes are sensitive to the photon statistics of the optical field. In two photon absorption, two photons interact together with an absorber (e.g. an atom or a molecule) and bring an electron to an excited state that requires the energy of both photons. In two-photon excited fluorescence, a fluorescence photon is emitted by the absorber after the absorption of two photons. This is an important process in modern microscopy. My collegues and I at the University of Potsdam could show that when using light with a specific photon statistics the process of two-photon excited fluorescence can be enhanced (Jechow et al. Nature Photonics 2013). In 2014 I was awarded a price for this work by Leibniz Kolleg Potsdam. This is a principle step towards using strictly correlated photon pairs like entangled photons from spontaneous parametric downconversion (Jechow et al. QIM conference 2014, Jechow et al. Optics Letters 2008) . During my first PostDoc period I worked on an Ytterbium ion trap at Grifith University, Australia. 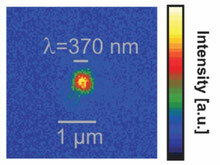 The main research was on imaging of trapped ions with a superior optical resolution. 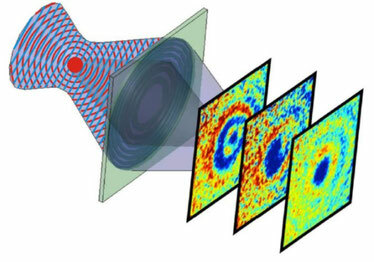 With this technology, we could image trapped ions with near diffraction limited resolution. I still hold the record for the highest optical resolution for imaging of an isolated single atom (Jechow et al. Optics Letters 2011). The superior resolution enabled us to demonstrate spatial thermometry shown on the set of pictures on the right (Norton et al. 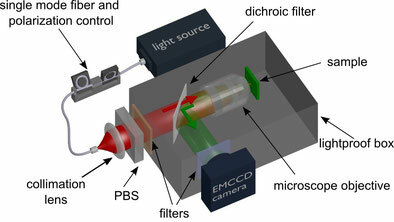 2011) and was the basis for the absorption imaging. A modification to our laser cooling architecture allowed us to observe the extinction by the trapped ion of the cooling laser beam. It can be explained in a simple way by thinking of the destructive interference between an incident plane wave (laser cooling beam) and the re-radiated spherical wave emitted by the atom. The striking feature is that the atoms radiation consits of well defined single photons. 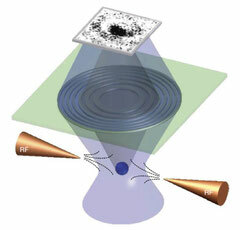 So we could unravel the "shadow" of a single atom (Streed et al. Nature Communicatuions 2012). 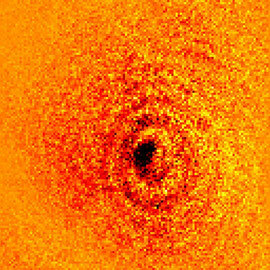 This "single atom shadow" gained a lot of media attention. See for example video on youtube here or article by national geographic here. The absorption imaging technique allowed us to also impose a phase shift between the plane wave and the re-radiated wave. This was done by detuning the cooling laser beam (Jechow et al. PRL 2013).